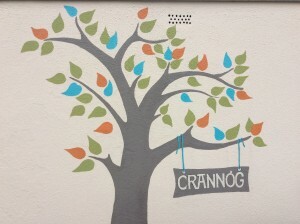 Crannóg is a children’s respite centre that provides planned short-term breaks for families and guardians of children who are in receipt of other supports from the Brothers of Charity Services. Crannóg can accommodate a maximum of six children at any time. The number of children accommodated at any one time will be determined through a matching process using the criteria of age, skills, interests, compatibility, gender and required staff supports. The staff team keep the groupings under constant review to ensure that children continue to enjoy and benefit from their respite break. As far as possible, children are grouped with others whom they are familiar with, which helps in adjusting to the experience of being away from home. Located in Galway City, Crannóg operates for 234 nights of the year. It is staffed with day/night nurses and care assistant staff, all of whom have a wide experience in caring for children with an intellectual disability. There are two to three staff on day duty at all times. At night, there is one waking staff. Crannóg Respite Centre is a Designated Centre under HIQA regulations. For more information on the service provided by Crannóg Respite Centre, please contact the Team Leader to request to view the Statement of Purpose and / or the HIQA report. Research Projects involving Crannóg Respite Centre: None at present.